HTC Desire Eye Marshmallow upgrade has officially begun rolling out but as usual, it is currently available in limited regions across the globe. The news of this operating system coming to this mid-range device from HTC started showing up last month. While back then it appeared as a teaser on Twitter, it now has materialized into something concrete. The bad side of the story is that this new HTC Desire Eye Marshmallow OS is rolling out in select European and Asian countries. HTC has confirmed that the new Android 6.0.1 Marshmallow update is currently rolling out to Desire Eye smartphones based in the local Taiwanese market. In addition to this market, the new HTC Desire Eye Marshmallow version has also been spotted in Italy. While this is happening in the company’s home country and some few regions in Europe, there is still no word of when to expect the OS to be released in the United States. However, just like many other updates coming from Asian-made devices like Samsung and LG, this update is expected to hit the country before the end of this month. This Desire Eye Marshmallow update has been coming for quite some time now thanks to the fact that it was listed as among the devices to receive the OS back in January. It has taken HTC more than a month to release the OS since announcing that it will be receiving the update. Latest reports coming from Italy suggest that the OS will be rolling out to devices in the country gradually across the next few days. After this, the update will proceed to other countries in Europe as well as America, but no specific date has been given. The new version of Android 6.0.1 Marshmallow for HTC Desire Eye comes with an improved version of the Sense. Version 7.0 brings new customization tweaks, new themes as well as a look that is simpler than before. As usual, the new OS also means the performance of the Desire Eye will be much better than before thanks to the fixes to several bugs and errors the update comes along with. 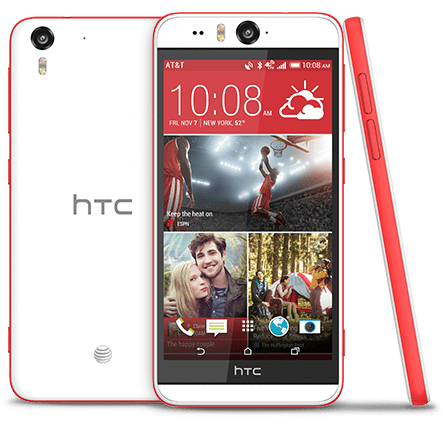 If you have been experiencing issues with Wi-Fi, Bluetooth, camera and other services, the new HTC Desire Eye Marshmallow upgrade is here to take care of these issues. There is even a set of new emojis for you to use in your chat apps. Google has also added a flurry of features that are aimed at making this device a better performer. Things like Doze, Google Now on Tap, better app permissions management as well as Direct Share features, among many others, have been included. Next Next post: Samsung Galaxy Note 5 Currently Receiving Android 6.0.1 Marshmallow Update: What’s New?